2012 has been a fabulous year for music, movies and literature. We have been entertained by some fantastic thrillers, scandalized by a raunchy trilogy and energized by some up-tempo tunes. Before we dive into 2013, let’s take a look back at some of our favourite films, albums and books of this year. 2012 was a year for some new and not so new heroes on the Big Screen. We had the welcome return of James Bond in Skyfall, Batman in The Dark Knight Rises and Peter Parker in The Amazing Spider Man. We were also introduced to a new heroine in the form of Katness Everdeen in The Hunger Games. 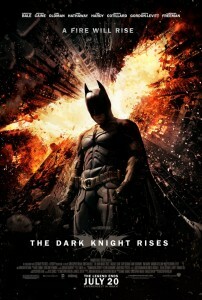 The top of every box office list this year is the Dark Knight Rises, the latest film in the Batman franchise. Directed and produced by Christopher Nolan, this fan favourite grossed over €800 million worldwide. The Hunger Games, starring Jennifer Lawrence, was the second highest grossing film of the year. Released in March and directed by Gary Ross, the film earned the recording breaking amount of €120 million, of a non-sequel film on opening weekend. The Hunger Games: Catching Fire, the second installment in the trilogy is set to be released in 2013. Rounding out the top three films is Skyfall, the latest James Bond film. Even though it is still in cinemas, Skyfall has already grossed enough to earn it a place in the top 10 grossing films of the year. This is the 23rd film in the James Bond series and has broken records including becoming the highest grossing Bond film of all time in the UK. 2012 was an exciting year for music with the release of many notable albums. Ed Sheeran released his debut studio album titled + (pronounced plus). Six singles, including ‘The A Team’, ‘Lego House’ and ‘Small Bump’ were released throughout 2011 and 2012, before the album came out. The Script released their third studio album #3, to mixed reviews. The album included singles ‘Six Degrees of Separation’ and ‘Hall of Fame’, featuring will.i.am. #3 reached the number 1 spot on Irish album charts while peaking at number 13 on the US Billboard 200 chart. Most recently, Rihanna released her Unapologetic album which included her new single ‘Diamonds’. Rihanna’s album tracks include collaborations with artists including Eminem, Chris Brown and David Guetta. The album, released on 19th November has received positive reviews. You can’t mention books in 2012 which mentioning E. L. James’ 50 Shades of Grey. The trilogy has found themselves onto spots one, two and three of this year’s bestsellers. Early this year it was announced that the trilogy will be adapted onto the big screen with Universal Studios securing the film rights. 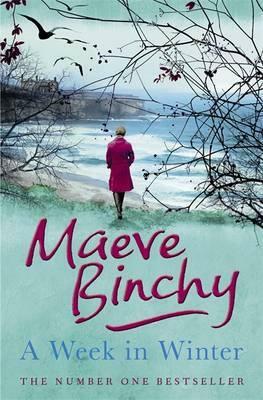 In Irish literature, the final novel by Maeve Binchy who died in July aged 72, was released in November of this year. 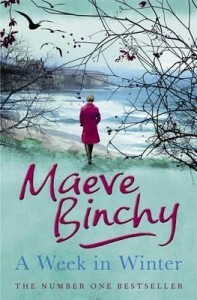 A Week in Winter, set on the west-coast of Ireland will be the last book published by Binchy and is the winner of Eason Popular Fiction Book of the Year. An exciting book release this year was the highly anticipated story of Katie Taylor’s My Olympic Dream. In this book Katie Taylor reveals how she trained and prepared for the Olympics and how she got into boxing in the first place. My Olympic Dream won Lifestyle Sports’ Book of the Year at this year’s Irish Book Awards.